The Holiday Inn Brussels Airport hotel is located in the business district of the Brussels Airport, near NATO and the offices of many multinationals. Need a ride? Hop on the complimentary shuttle bus to/from the airport to the hotel. 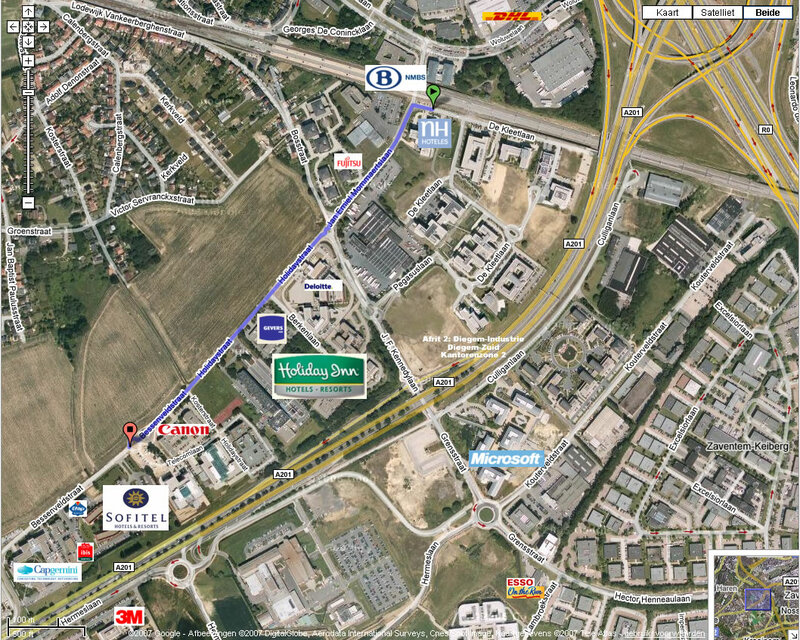 Brussels National Airport (Zaventem) is 5km away. Coming from Antwerp E19 or Gent E40, follow A201 ("National Airport / Zaventem") and leave it at exit nr 2 "Diegem-Industrie" and "Diegem-Zuid Kantorenzone 2". At the first roundabout, turn left around the Deloitte headquarter and follow the Holidaystraat until you see the Holiday Inn Brussels Airport hotel on your left. The hotel has a huge parking and our participants do not have to pay a parking fee. There is a bus (used to be 272) from the railway/metro station Brussels Noord/Nord but you should check the website of De Lijn. Brussels Noord-Diegem takes about 12 minutes to Diegem. Leuven - Diegem takes about 26 minutes to Diegem. If you are looking for accommodation, you should contact the Holiday Inn reservation desk and mention the seminar to get a discount (if any).